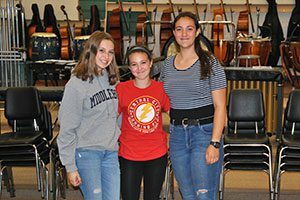 Over forty Warwick Valley High School and Middle School student musicians were accepted into several honors ensembles, and ​​performed with those groups. The All-County performance ensembles are hosted by the Orange County Music Educators Association. Students audition for entrance into the ensembles, and represent the best musicians for their age group from around the schools in Orange County. They rehearse together with a special guest conductor and then perform in a culminating concert. The Area All-State performance ensembles are hosted by NYSSMA (New York State School Music Association). 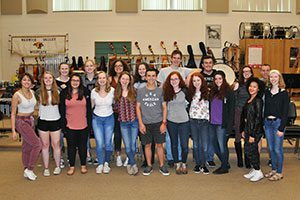 Students are selected for participation in the ensembles from their Spring NYSSMA Solo Festival evaluations. 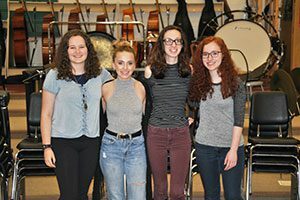 The students who are selected represent the best high school musicians from the five-county area of Rockland, Orange, Ulster, Sullivan and Greene Counties. 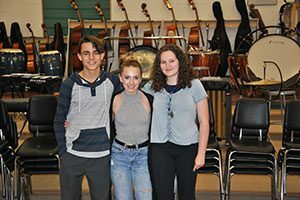 They rehearse together on a Friday afternoon and evening, a Saturday morning, then perform in a culminating concert with a guest conductor on Saturday evening in mid-November. The All-State performance ensembles are hosted by NYSSMA. 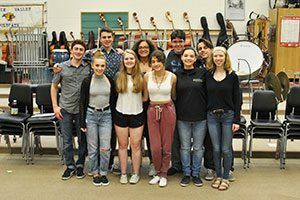 Students are selected for participation into the ensembles based on their Spring NYSSMA All-State Solo evaluation. The students who are selected represent the best high school juniors and seniors from across New York State. They rehearse in Rochester, NY and perform at a culminating concert in the Eastman Theatre’s Kodak Hall in Rochester in early December. The Hudson Valley Honors Youth Band provides an exceptional opportunity for outstanding band students in grades 6-12 from Hudson Valley schools to make music together. 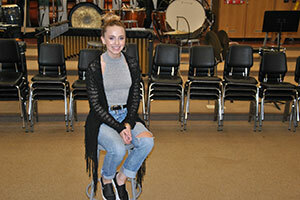 Rehearsals take place in the fall of each school year and culminate in a final concert performance. The final weekend of performances includes an annual College Fair, as well as a special performance by the New York Wind Symphony, featuring a guest conductor or New York Philharmonic soloist. The Hudson Valley Honors Youth Band Program is sponsored by the Syracuse University Bands. Membership in the Honors Youth Band Program is by audition.